Remember this next year: People join people. Practice what you preach rings true in any industry, and as we look to 2018, this will become even more prevalent. Companies will look to their employees to become their biggest influencers in expanding the company brand, growing recognition, and increasing their social media presence. This comes with careful preparation and an engagement strategy that will require HR and marketing departments to work together in order to implement effectively in 2018. People join people. Developing your talent into brand influencers is key for hiring and building work culture recognition. This starts with meeting employee expectations and following through on a promised culture where they feel valued and challenged. When companies follow through on these expectations a real trust is established. Nurture that trust, and in time, that trust will blossom into a work environment that top talent wants to be a part of. Last year, in one of my "breakfast with the president" sessions, an employee asked about PAN’s propensity to develop "specialized roles." I discussed it with my HR team, and today I’m proud to report we have more than five employees in specialized roles (another five working on a career mapping strategy for 2018). With that built trust between yourself and your employees, they will want to tell others about their positive experiences and your engaging company brand. As your business grows, you will need to add talent and you are going to trust your employees’ recommendations for referred candidates. Your employees know the culture in and out as well as the job requirements and understand who you are looking to attract in order to complement and expand your brand, rather than just "fit in." Those candidates once hired are most likely to have longevity. A study by JobVite found that 46% of referred hires remained at a company for at least one year after they were hired, which was far higher than the 33% of candidates hired through a recruiter or the 22% hired from job boards. Receiving internal recognition from managers and VPs on exceeding personal and professional goals will lead to external recognition for your organization. Establish goals early in an employee’s path at your company and connect them with a PR pro of the Gen-X workforce to assure success both in the short term and long. The individual employee success and overall company success will lead to external recognition. This external recognition can range from industry awards for exceptional client services, PR industry awards for a winning work culture, and increasing client wins. In delivering mentorship and implementing established goals, the industry awards will come organically and help recognize a well strategized culture. In 2018, we should witness a trend in HR departments starting with the deployment of integrated career development strategies, maintaining transparency in terms of company goals and expectations, and measuring how an employee is meeting his or her personal goals and the company’s goals. I’ve heard often that my transparency and open-door policy are huge differentiators for PAN employees. I’d like to think they help PAN achieve a lower-than-average employee turnover. Another way to build your workforce into brand influencers is by increasing their engagement on social. This will be one of the bigger trends we see in 2018: the more credible the source of the post, the more likely a new client or candidate may engage. Possible candidates want to be hearing from current employees, in fact 66% of job searching candidates believe interactions with employees are the best way to get insight into a company. A friend, college peer, previous colleague, or client – these are all people who live in your employee’s network and they haven’t been reached yet. How else can you work together to reach your employee’s network? For one, by deploying marketing departments to inform employees about all campaigns, blog posts, press releases, and industry events that your firm is hosting. Being transparent with company news internally before it goes public and having a strategy for your employees by drafting tweets and LinkedIn posts with clear call to actions will increase the visibility for your brand. This will make it simple for your employees to interact, and it will bridge the gap between your brand and their network. In 2018, make it a priority to sit down with your HR and marketing teams and together align on company goals both internally and externally. Create a strategy to increase the trust in your work environment and implement practices to develop your employees as influencers. People join people, so make those people your biggest advocates. 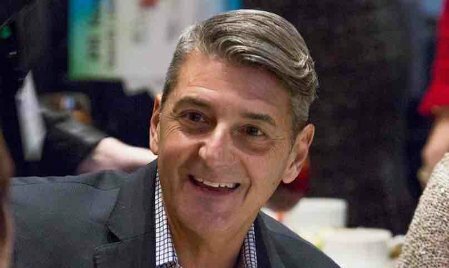 Philip A. Nardone is president and CEO of PAN Communications.